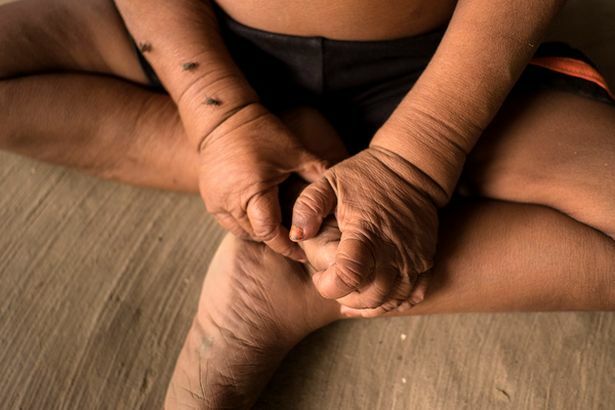 Tragic four-year-old Bayezid Hossain has been born with an incredibly rare condition that has left him looking like an 80-year-old man. 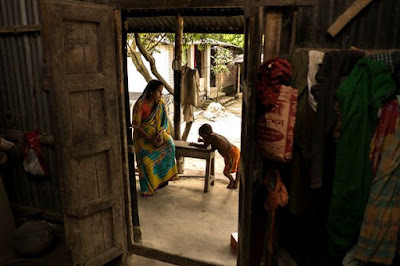 Bayezid, from outside Magura in southern Bangladesh, also has difficulties passing urine and already has weak and broken teeth. Children in his village, where he is affectionately referred to as 'old man,' were afraid to play with him at first - even though his father says he is much smarter than others the same age. 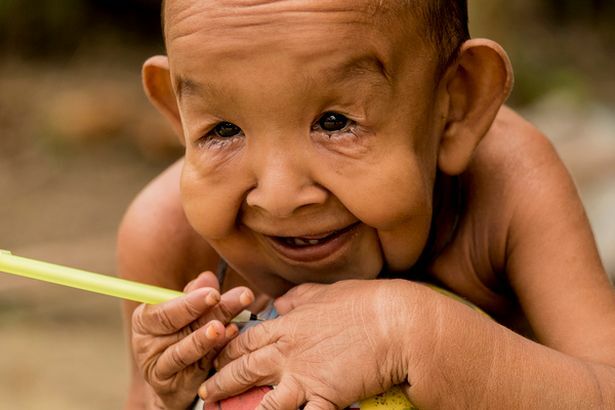 His devastated parents have been told Bayezid is unlikely to live past the age of 15 due to rare condition Progeria and Cutis Laxa.